This rally is for all those people who love all things car and all things green (eco green that is). 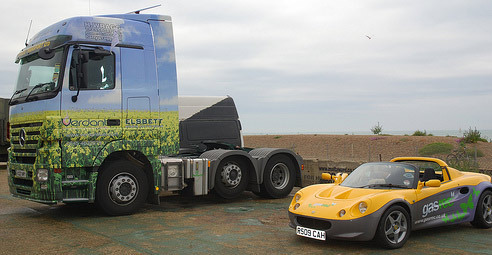 As part of the Love London Green Festival happening over the next two weeks, the Revolve Eco-Rally 2009 is all about bringing a little attention to the ‘best of' green vehicles currently out there. On June 8 a convoy of low carbon vehicles will depart from Brighton on a voyage to London. From about 10am celebrities and environmentalists alike will make their way by bike, car and van to City Hall in London where they are expected to arrive from about 3.30pm. 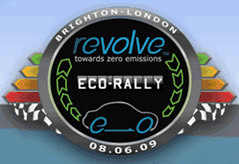 The rally has been organised by Revolve, The Low Carbon Vehicle Partnership and What Car? Revolve are an advisory council set up to ‘accelerate the market for efficient and sustainable transport technologies and fuels such as hybrids, batteries, biofuels, hydrogen and fuel cells through high profile events.' So the eco car rally is a perfect way to get our attention we think! What Car? will also be hosting their annual Green Awards in the evening to announce the Green Car of the Year Award. If you would like to show your support for the rally you can visit the Eco Rally website for the exact route.